Anyone who has ever been tempted to sell a less-than-legitimate ticket to an event, museum, or game should take note: Selling forged tickets can lead to serious criminal charges. A resident of Kissimmee, Florida, was arrested in mid-February for creating and selling fake tickets to Kennedy Space Visitor’s Center through Craigslist for $35. He now faces 12 criminal charges that could lead to years in prison and probation, heavy fines, and a permanent criminal record. If you have been charged with a state or federal crime related to illegal ticket sales, contact an experienced Kissimmee criminal defense lawyer today for help. If you are facing multiple criminal charges, including multiple felonies, it is crucial to work with an experienced criminal defense attorney who has represented individuals facing similar crimes. 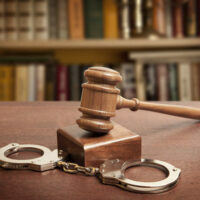 The purpose of an attorney is more than to try and get you off the charges. A skilled lawyer can fight to have charges dropped or reduced, protect your rights against the police during an investigation, and can seek to minimize the consequences of a conviction. Seeking the minimum penalty is important when facing felony charges that can result in prison, high fines, and probation with strict terms. An attorney can frame your case in such a way as to increase the likelihood of sympathy from the judge or jury and offer a greater chance for leniency. A poorly devised defense strategy or worse yet, no strategy at all from a public defender, can result in not only being convicted but being sentenced to the maximum imprisonment and fines. When even the lowest felony, a third degree, can result in up to 5 years of prison, 5 years of probation, and a $5,000 fine (under Florida Statutes 775.082), you want a Kissimmee criminal defense attorney on your side. If you are facing multiple misdemeanors and felonies that can pile punishments one on top of the other, an experienced attorney who can provide a strong defense is essential. To learn more, call us at Salazar & Kelly Law Group, P.A. at 407-483-0500.